Each year Monterey County is host to one of the most valuable automotive auctions in the market, with visitors from around the world funneling into a small beach in California to spend way too much money on the cars of their dreams. How much money? Damn near $400 million worth of cars! It is not just millionaires that show up, with the event pulling in over 85,000 automotive executives, auctioneers, journalists, and tourists dressed in the most expensive thing they could find at J.C. Penny’s. With all of them comes a ridiculously high cash flow. Reported by the Monterey Herald, this year’s Classic Car Week auctions were valued at around $390 million dollars following early estimates, with the average car auctioning at a ridiculous $500 thousand dollars. These numbers reflect the fact that almost 40 percent of the most expensive cars auctioned in the world come through Monterey each year. 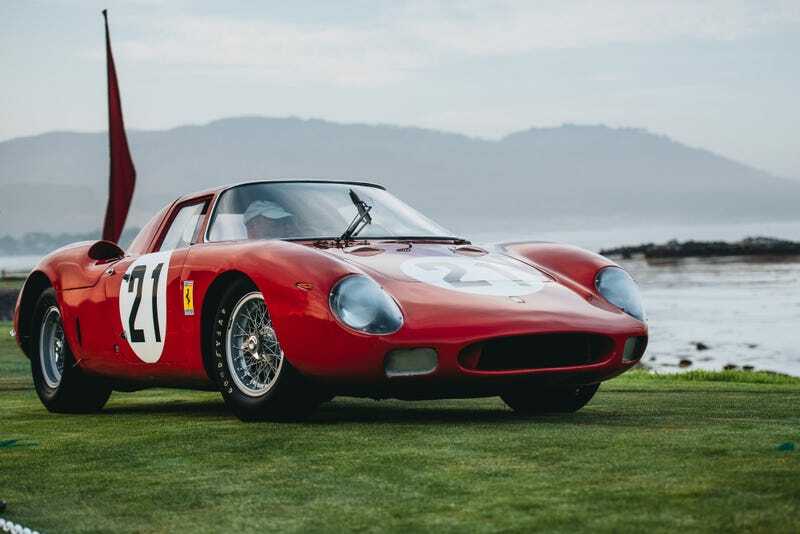 Last year’s auctions pulled a slight lead, with the 1964 Ferrari 250 GTO breaking records and sending the value up to a ridiculous $402.6 million dollars. Last year’s local tax revenue in the region was $3.4 million dollars, with that number expected to grow for this year’s estimates. Ferrari was still a big name this year, as seven of the top ten most expensive cars sold were from the Italian automaker, including five various 250 GT models, a 250 LM Coupe, and a 275 S/340. The other three vehicles in the top ten were a 1998 McLaren F1 LM Coupe, a 1953 Jaguar C-Type Lightweight Roadster, and a 1982 Porsche 956 Coupe. The “cheapest” car in the top ten was the Ferrari 275 S/340 at $8 million dollars, while the most expensive was the Ferrari 250 LM Coupe at $17.6 million dollars. It is interesting that two of the most expensive cars at the show, the Porsche 956 and the McLaren F1, were nowhere near the age range of the other popular models at auction. Speaking to the Monterey Herald, Hagerty spokesman Jonathan Klinger noted that classic Ferraris from the 60’s were down 25 percent, while the number of 80’s and 90’s models, particularly Porsches, were almost doubled this year. A younger generation of buyers are looking for a younger generation of poster cars to purchase. Millennials! This change in interest and a slight lag in sales from last year (you can’t expect a $38 million dollar car every year) should not have any major effect on the Pebble Beach events going forward - thousands of people will still show up annually, cars will still sell for millions, and the rich will still get richer, and the rest of us will just try and blend in with our pink pants.